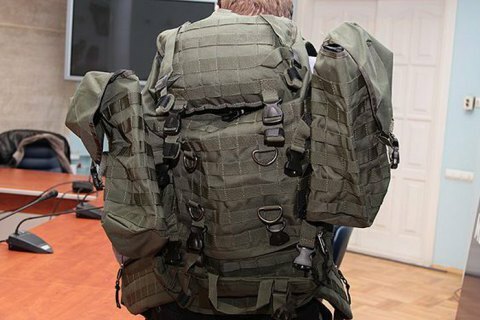 Detectives of the National Anticorruption Bureau of Ukraine (NABU) detained three individuals in the case of the purchase of backpacks for the Interior Ministry, the NABU press service said in a statement on Tuesday, 31 October. The NABU arrested a former deputy interior minister, a representative of the company that won the tender for the supply of backpacks, and another private person, reported the press service. "The investigation believes that these persons were involved in the procurement of backpacks for the Interior Ministry in 2015 at a price significantly increasing the market average. A pre-trial investigation showed that the goods were not delivered on time and did not meet the requirements established by the ministry, which inflicted over 14m hryvnyas in damages on the state," the NABU said. The NABU has been probing the case since 2016. At the moment, the agency is conducting "urgent investigative actions". The circle of suspects involved is established. "There will be duly reported suspicions. Their offences are qualified as misappropriation, seizure or embezzlement of property by abusing official position," the NABU said. Earlier, the Interior Ministry confirmed that ex-Deputy Interior Minister Serhiy Chebotar and Interior Minister Arsen Avakov's son, Oleksandr, were searched, but dismissed the charges as politically motivated.